Blair McGranahan was 92 and still going to protests, a regular at our “Impeach Obama Now” protests in San Diego, North County. His last protest with us was very appropriately on the 4th of July, just a few weeks before he died. 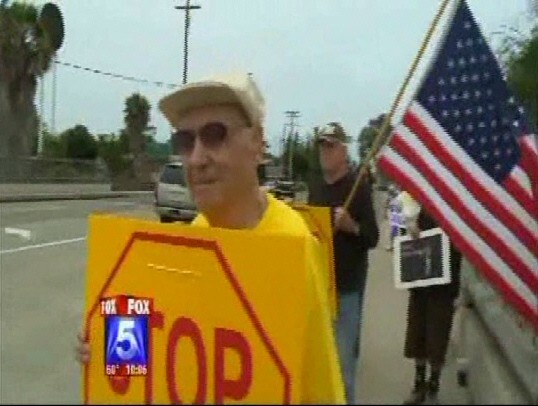 His favorite sign was “STOP ILLEGAL IMMIGRATION.” We did not know then that we were saying “goodbye” to him at his last protest on Independence Day.